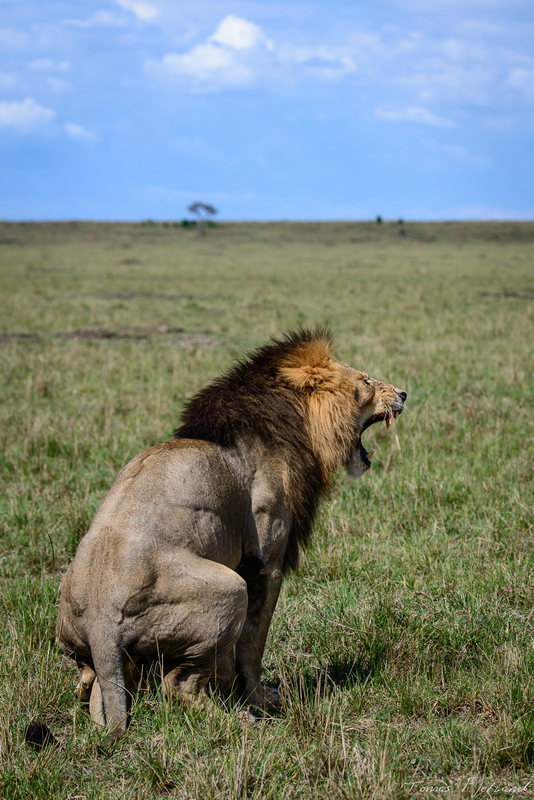 In addition to our full access to the Olare Motorogi conservancy we were staying in, we had booked one day passes to the Maasai Mara National Reserve. 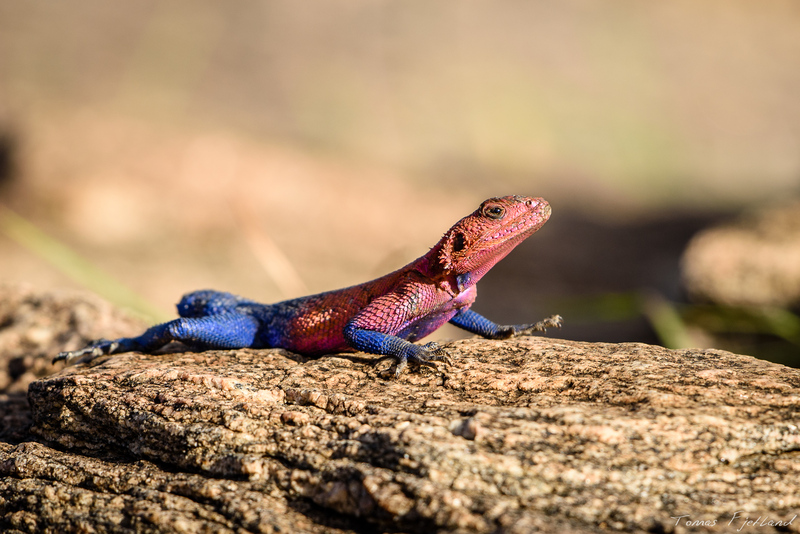 For most wildlife viewing and photography, I’d say your experience in the conservancies will be better than in the reserve. 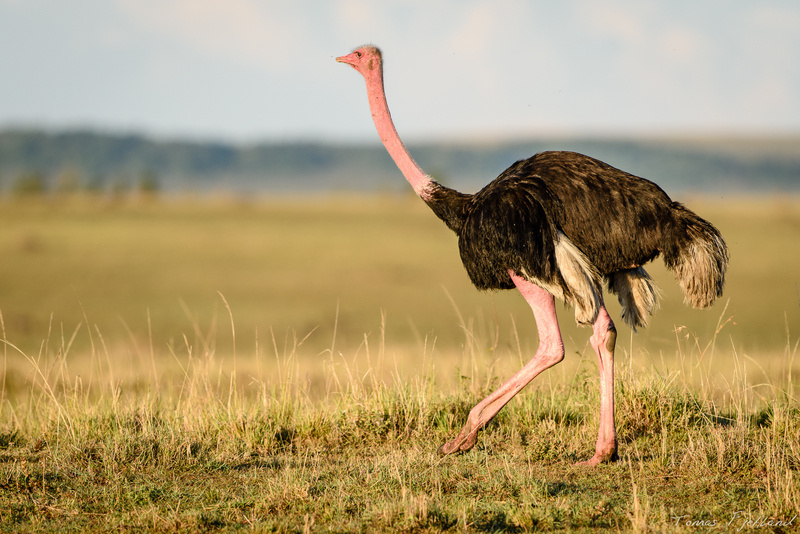 But the reserve does offer a few unique elements that the conservancies lack. 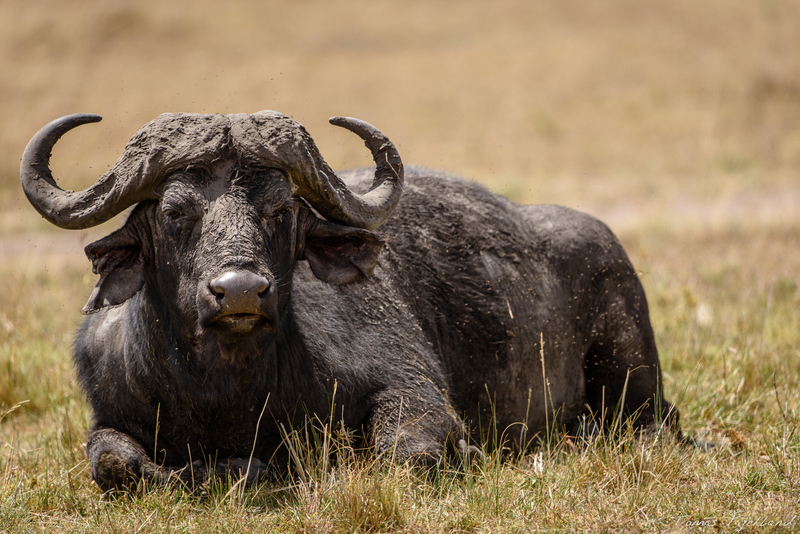 In particular, the big rivers Mara and Talek with their wildebeest crossing points are mostly in the reserve. We had arranged with John and Jared the day before that this would be the day we would visit the reserve, and because of that also spend the entire day on a drive. This usually results in quite a shoot with a lot of interesting experiences, and as such this post contains a lot more pics than most of the other daily posts. We started before sunrise (of course) and made it into the reserve looking for something interesting to shoot when the golden light arrives. 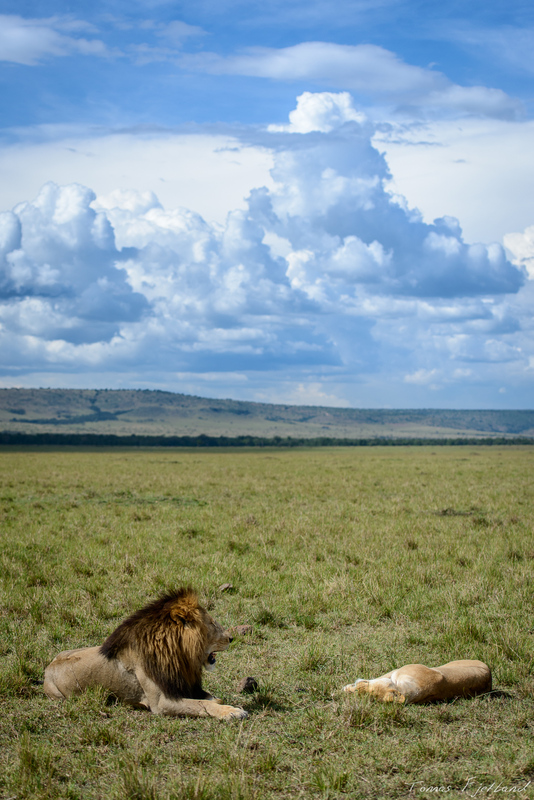 We come across two lionesses that seem to be relaxing away from the pride. Maybe they’re on a hunt, or on their way to young cubs which are usually hidden away from the rest of the pride. We haven’t seen anything more interesting, so we decide to hang around until the sun comes up. Minutes later the sun rises over the horizon and the savanna is flooded in that gorgeous light. As it does, the lionesses decide it’s time to get going and start moving past us like we’re not there at all. 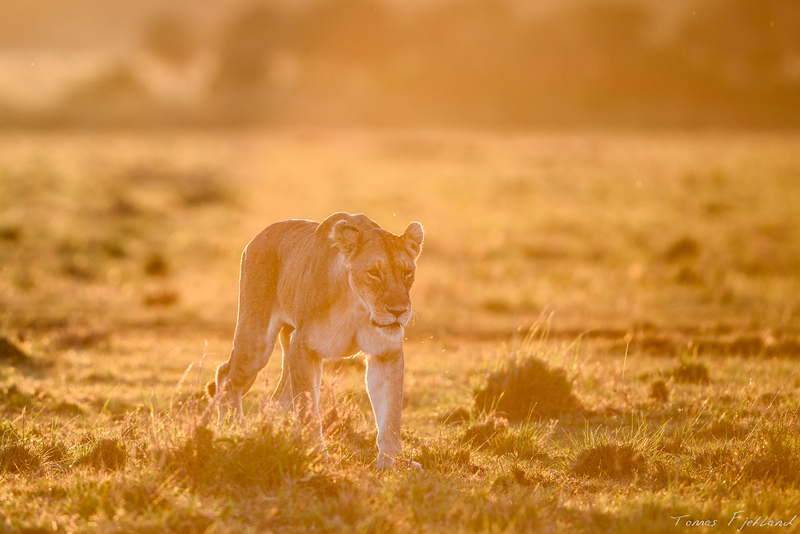 As the sun rises over the Mara, the incredible warm light floods everything for a few magical moments. 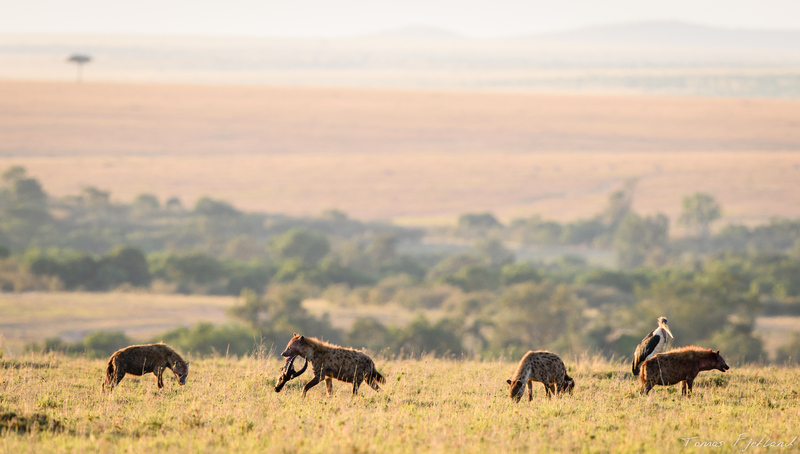 As they move away we notice a group of hyenas fighting over a carcass nearby. Maybe it was the lionesses kill the night before, or maybe some old bones, but the competition in the group is fierce. A group of hyenas have managed to steal the remains of a carcass during the night and were fighting over the pieces. 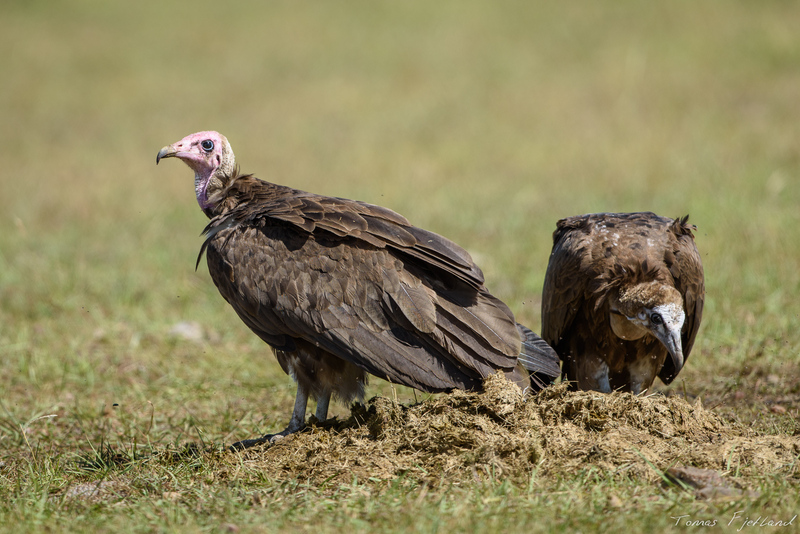 Other scavengers have gathered in the area and are paying close attention to see if some bits and pieces are left unattended. 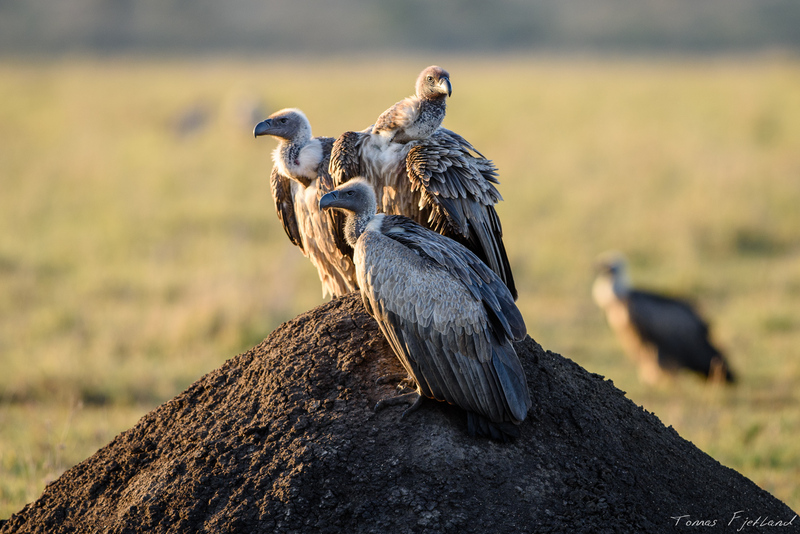 A group of vultures keep watch for any scraps of food that might become unguarded. 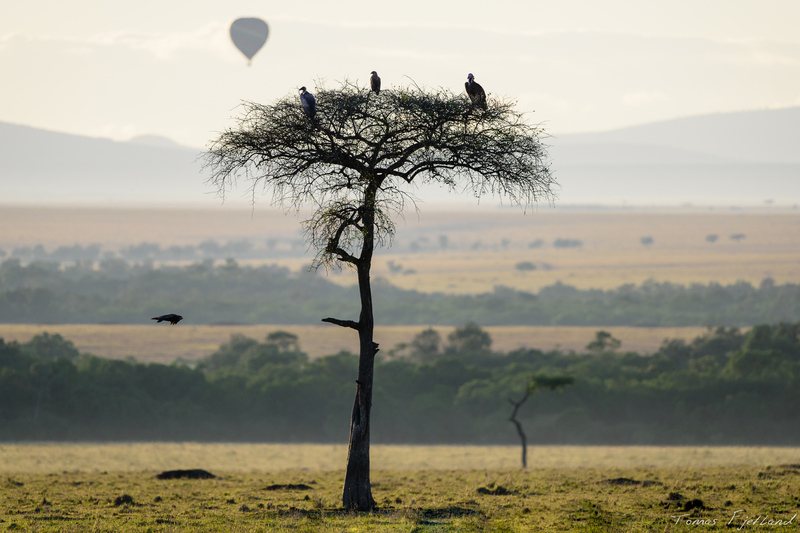 Topis are scattered all over the Mara, usually in between groups of zebras or wildebeest. 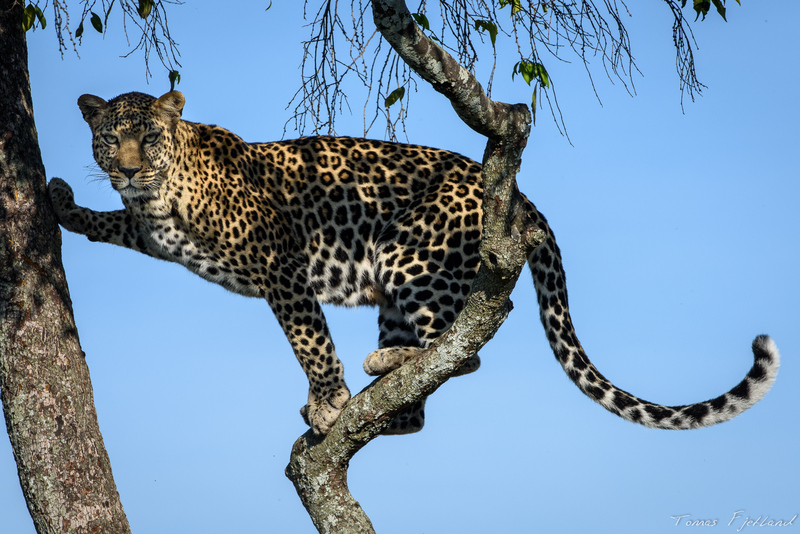 The males will typically find a mound like an abandoned warthog lair to stand on, with their front legs on the highest point. 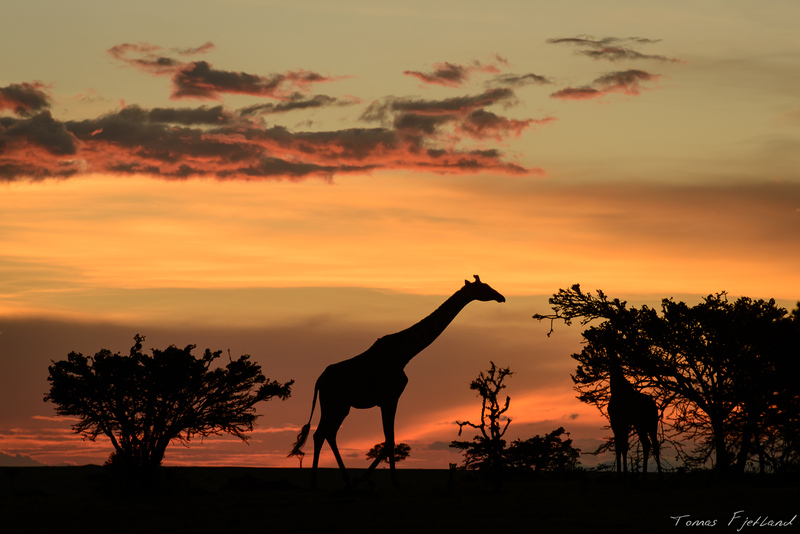 I tried to get a good silhouette shot as the good light was disappearing fast, unfortunately just when you want to shoot it, you can’t find that perfect pose (I still don’t have gerenuks on their hind legs either). So the closest I got was this guy with the legs cut off by the mound. 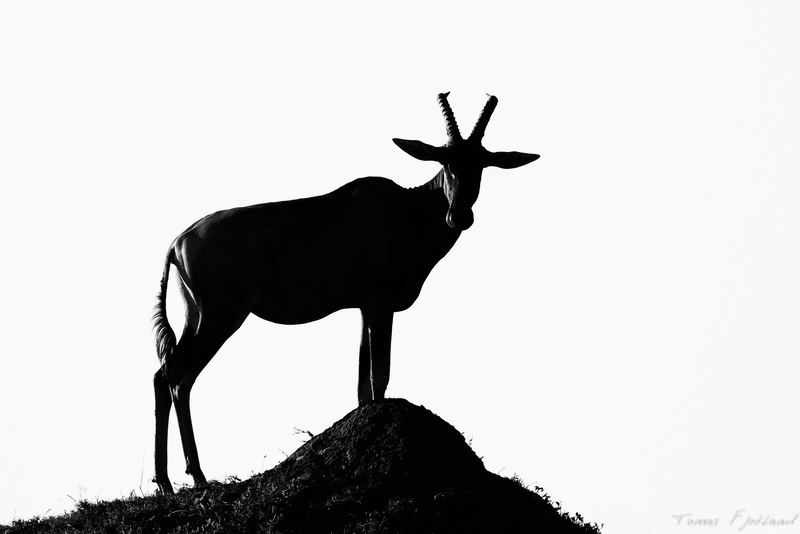 The classic Topi pose, in silhouette. 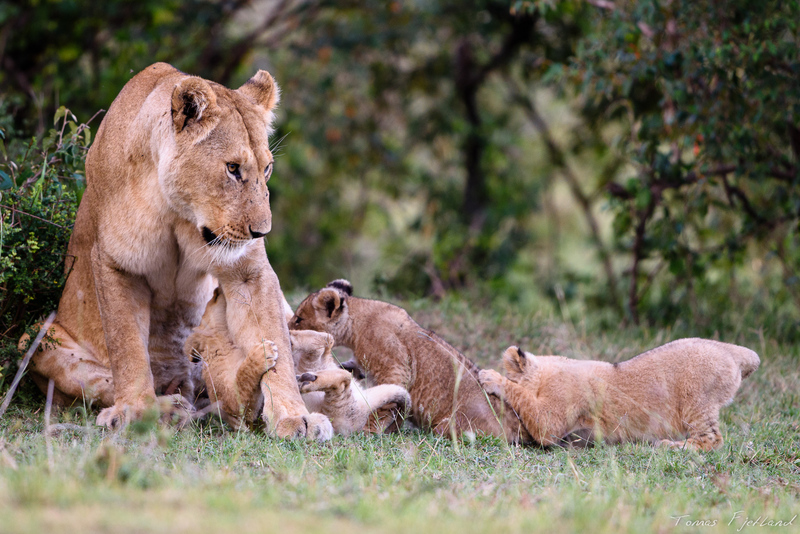 Making our way towards the Mara river, we come across a family of lions that are enjoying an impala kill. I try to get some interesting shots out of it, but the light is getting harsher and because we’re in the reserve we’re not free to drive outside the tracks, so I don’t feel they’re worth posting. We move on and come across the leopard Siri with her young cub. They’re hiding in the bushes, and we can’t seem to get a good view of them. After trying for a while we hang back and wait for them to come out. 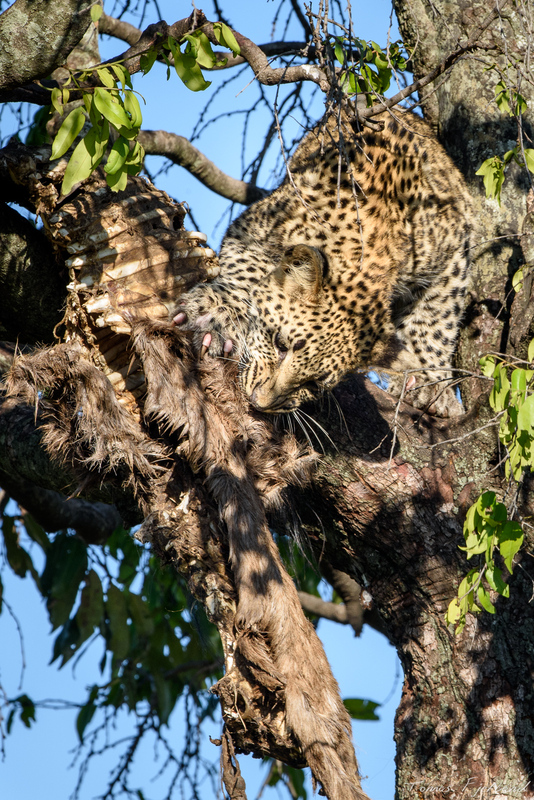 Turns out they have an old carcass hanging in one of the trees, so after a while Siri climbs up and check the surroundings before she lets the cub climb up and try to get some more meat of the brownish bones while she stands guard halfway down the tree. Probably not the most tasty meal, learning to make use of old food sources is none the less an important skill. 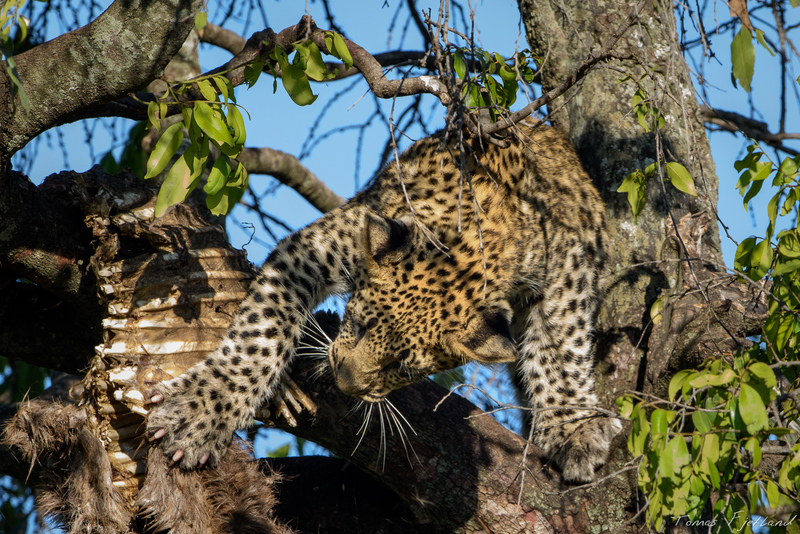 With her cub further up in the tree, the mother makes sure nothing dangerous gets too close. 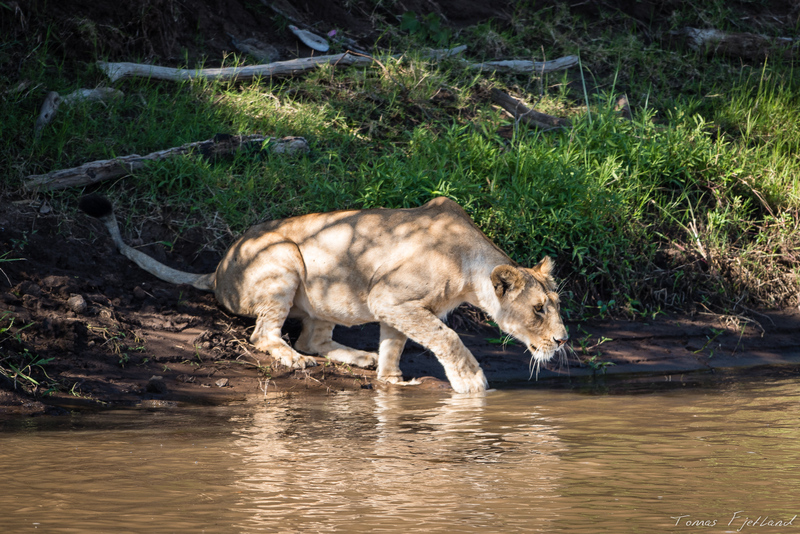 Down by the bank of the Mara river a group of young lions have moved up from the south. If they want to continue north, they need to cross the river. Maybe they’ve left their pride and are trying to avoid other lions, they seem to want to risk crossing pretty near to a group of crocodiles, maybe 20 meters away. After a lot of hesitation the young males cross over one by one. 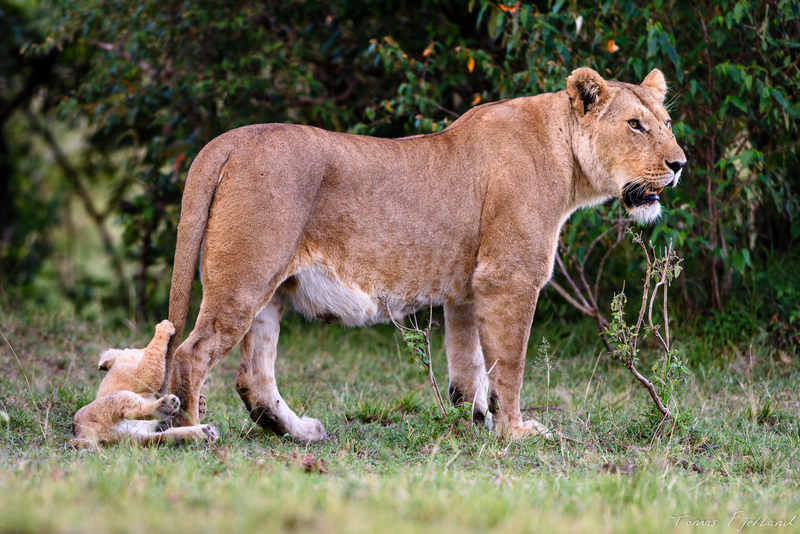 But the young lioness seems far less convinced this is a good idea. Testing the water with her paw, she shows clear signs of discomfort. But eventually she reluctantly wades out and starts swimming across with a grimace. 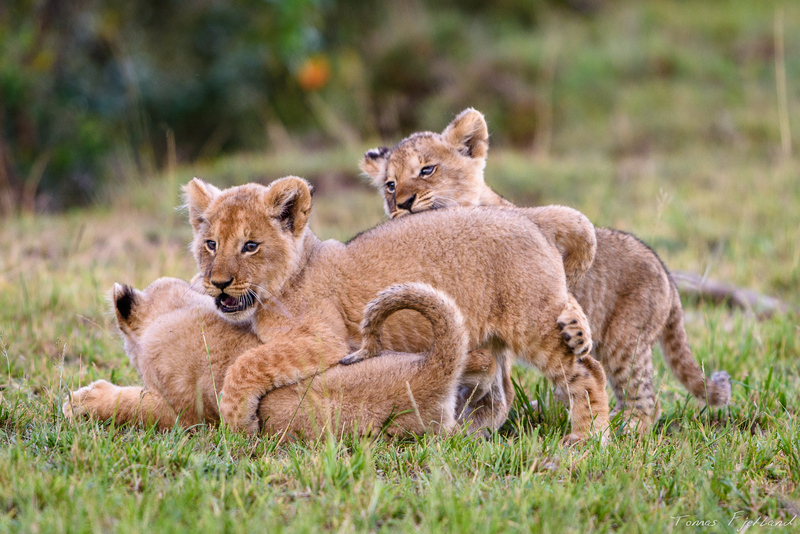 After all her brothers had crossed, the young lioness was clearly uncomfortable with the idea of following. 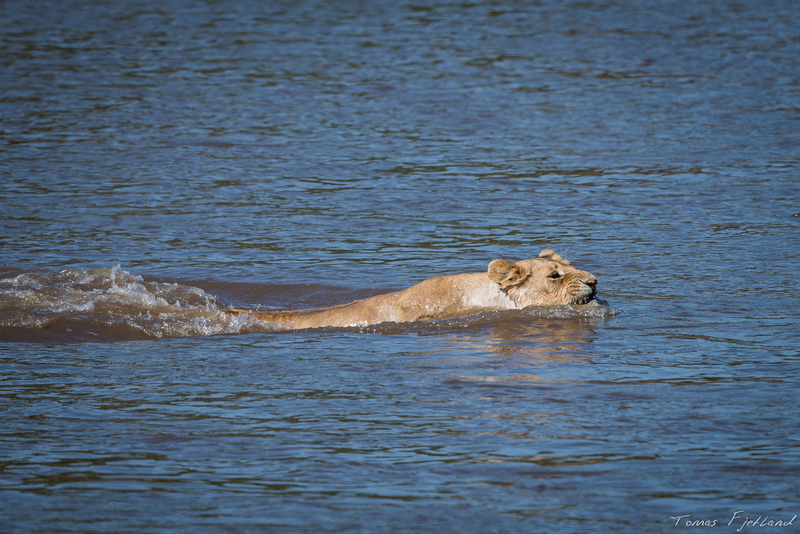 Finally deciding to follow her brothers to the other side, the expression shows the young lioness is not enjoying her swim. 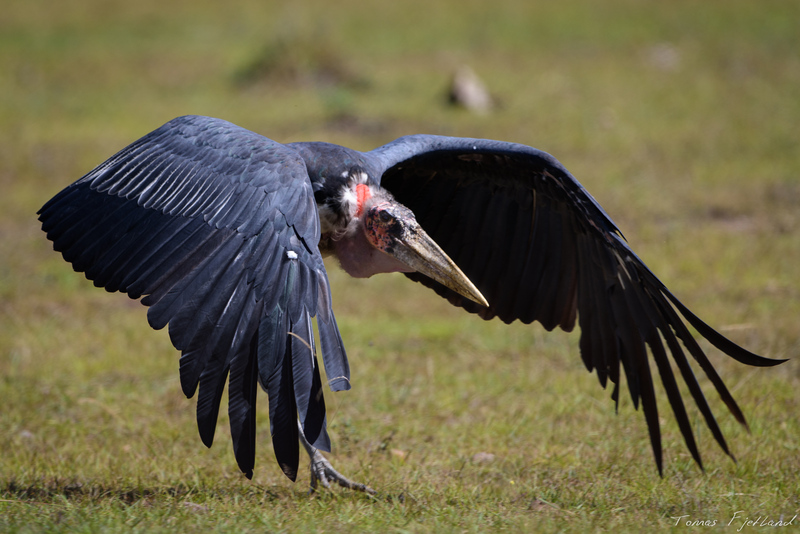 Clearly not the prettiest bird in east Africa, the Marabou is nonetheless an imposing figure, and when taking off looks quite dramatic. If you can’t find a good carcass, you have to make do with beetles and worms in dung. 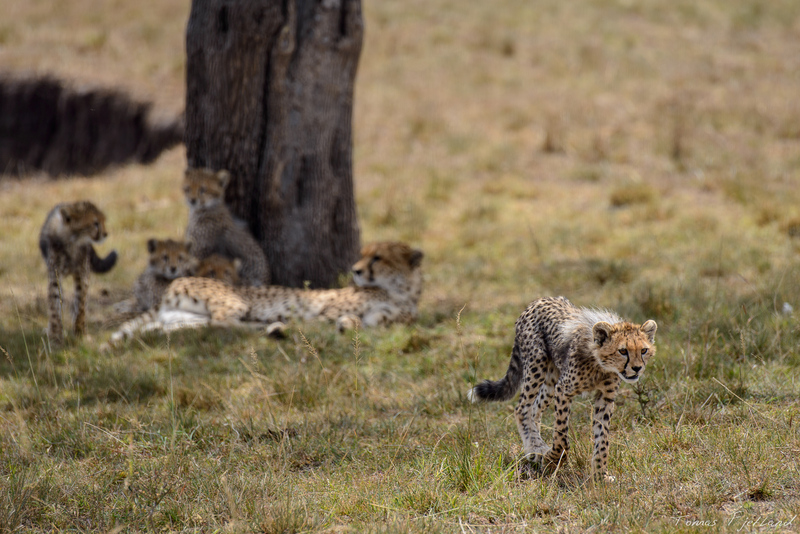 Crossing the Talek river and continuing south of the Olkiombo airstrip we find Malaika the cheetah with her unusual litter of kittens. Originally 6 cubs is surprising in itself. But to still have 5 as old as these is really fantastic. Unfortunately I heard she lost 2 more in the following year. 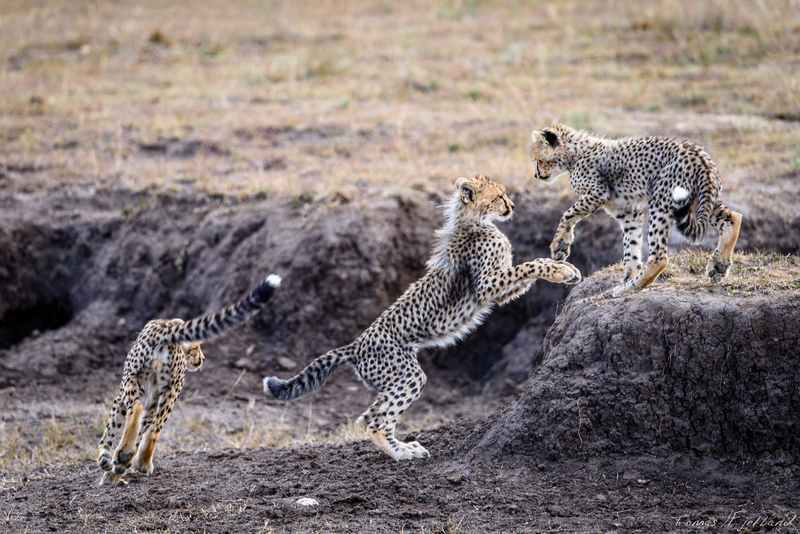 Most cheetah cubs don’t have as many play pals as these. 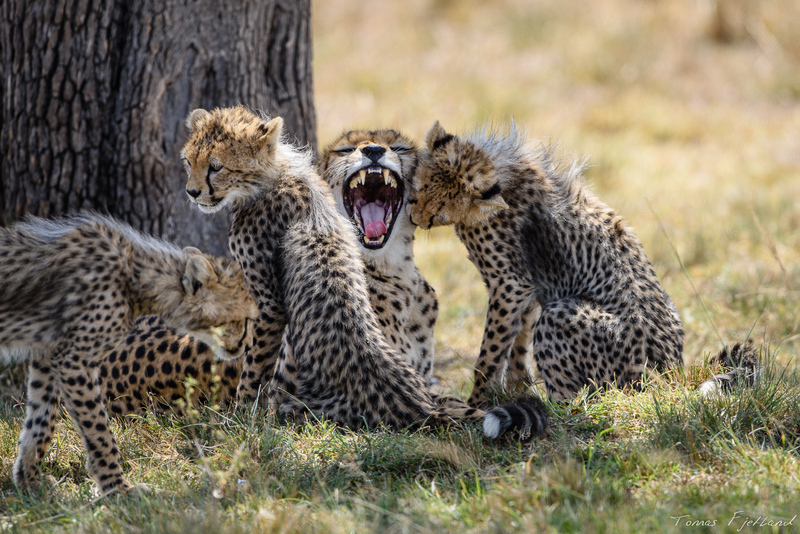 With one sibling stuck in a tree, the remaining 4 try to make the time pass while mother Malaika rests. Sometimes having 4 siblings can get a bit much and it’s best to take a break. 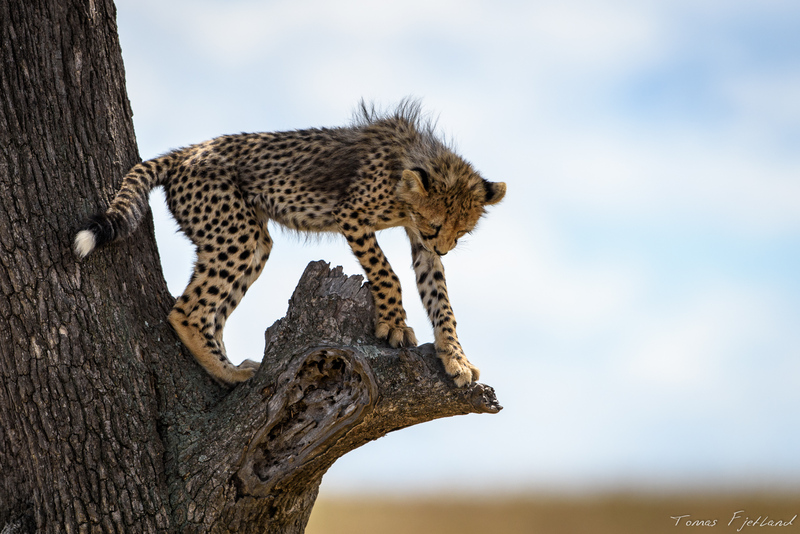 This cheetah cub is discovering why most cheetahs don’t climb trees. 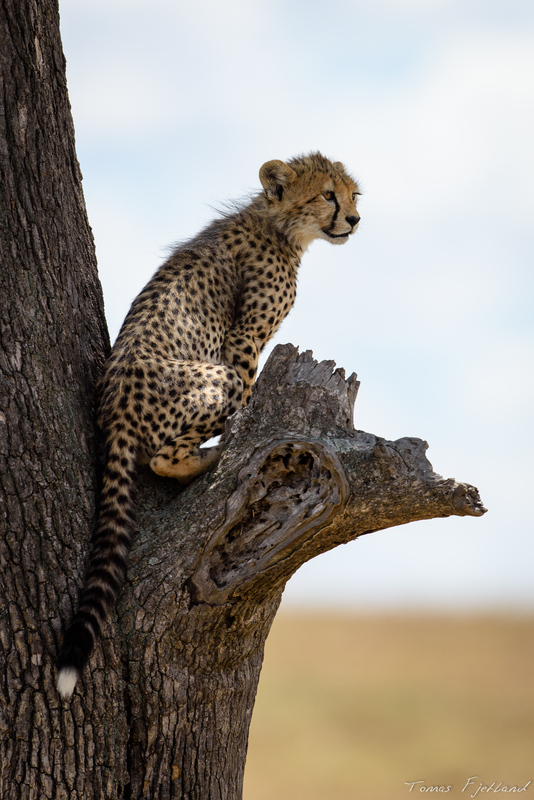 Cheetah cub discovering that while trees are easy to climb up, they’re not as easy to climb down. 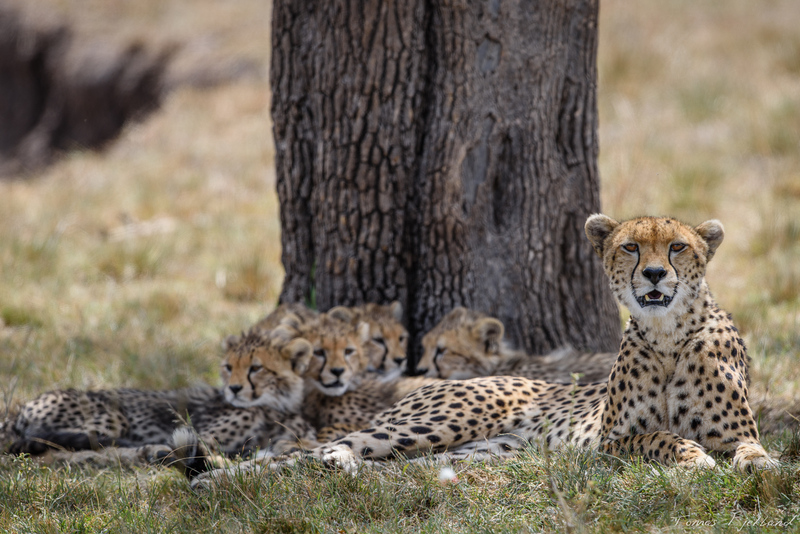 While she gave birth to six cubs, having brought 5 to this age is quite an unusual accomplishment for cheetahs. When it’s time for lunch we stop at a spot overlooking the Mara river. This is the same spot I’ve been on previous trips, and normally it’s been a great place to photograph small birds. Unfortunately we get a rainshower just before we stop, which seems to dampen both the enthusiasm of the birds, and it certainly dampens my enthusiasm for getting down on my stomach in the undergrowth. We do get a few curious visitors, at least. 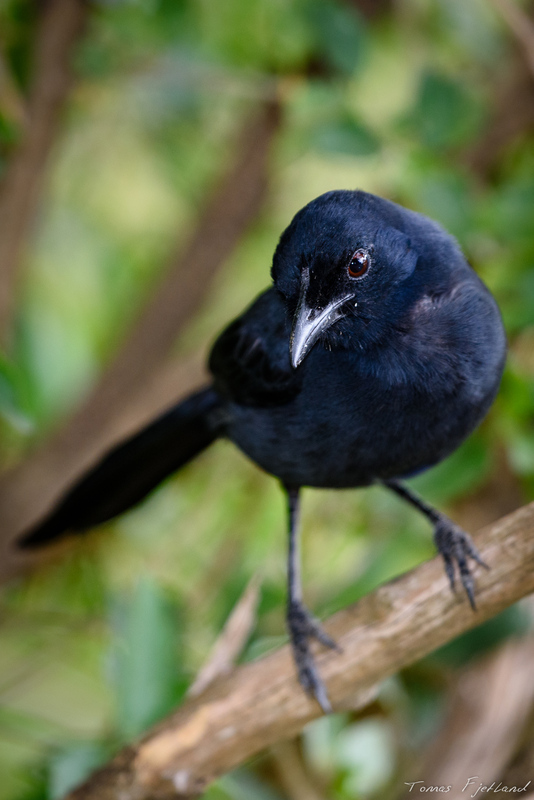 One of the few birds that came close while we had lunch at the bank of the Mara. 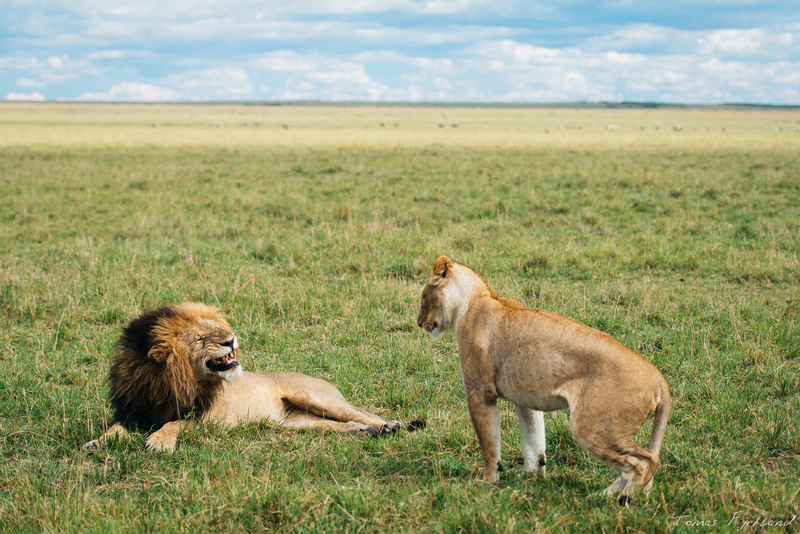 Mating is hard work, especially if you’re a lion. So it’s important to get plenty of rest. Again!? 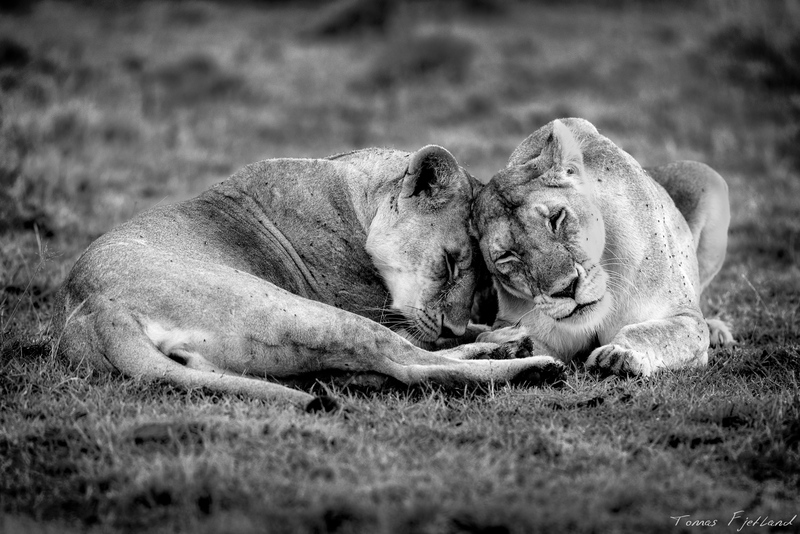 There’s not insignificant tension between a mating couple of lions. 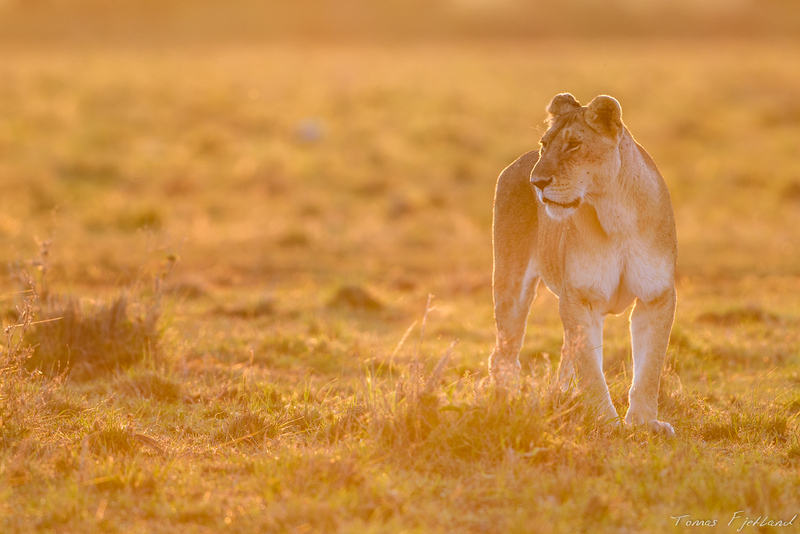 Arriving back in the conservancy, we pass Porini Lion Camp northwards and find a lioness with her 3 young cubs. 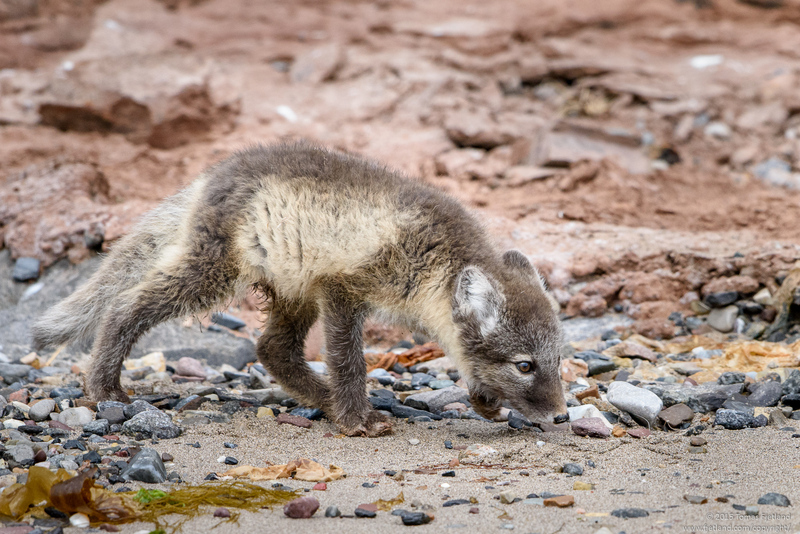 They’re a lot of fun and we hang around for a while, observing their play and the mothers incredible patience. 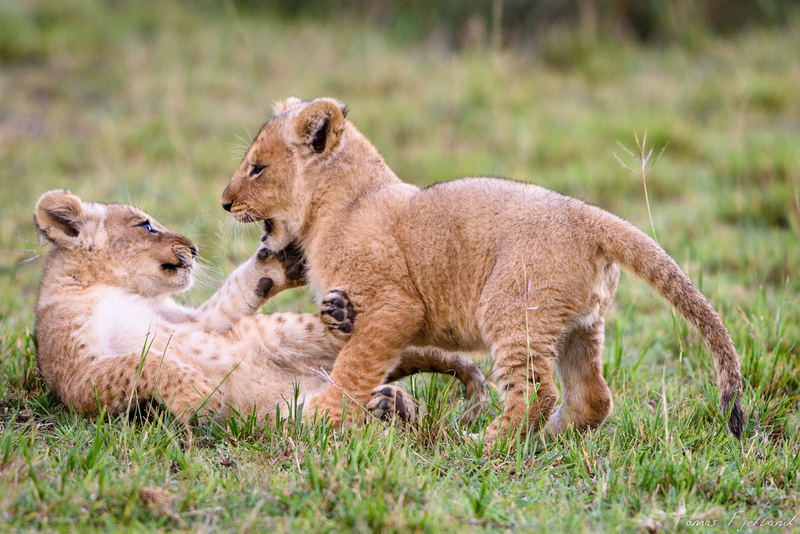 The more siblings, the more to practice your killer moves on. Being the focus of constant sneak attacks by 3 claw-equipped energizer bunnies is trying stuff. There’s just no peace to be had. 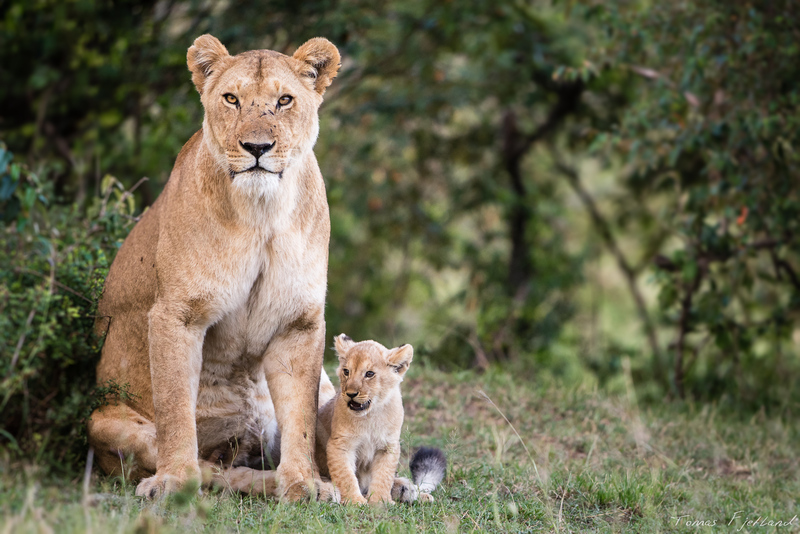 Lioness with one of her little cubs. 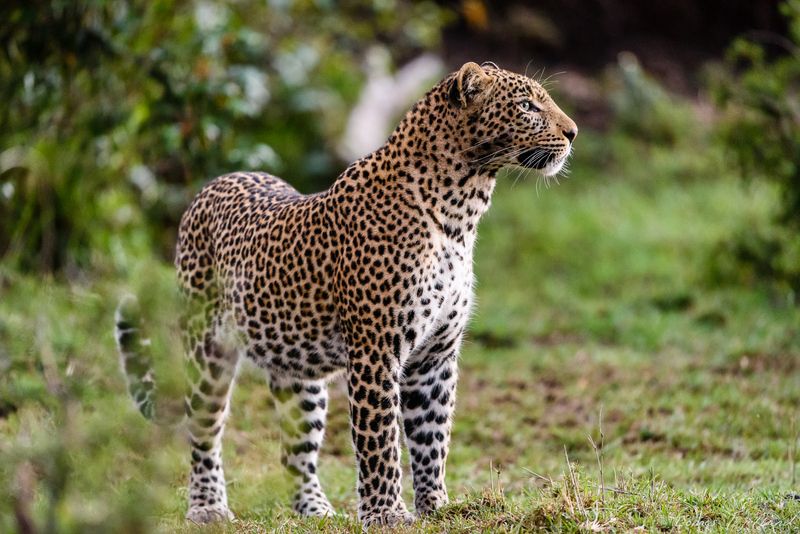 We start looking for something interesting to shoot in sunset lighting, and come across a leopard not far away. I think it might be the resident male Yellow, but I’m not sure. Could be Fig as well. I really should learn to tell them apart by the face. Unfortunately he or she is being uncooperative and stays in the creek and thereby in the shadows. I think it might be Yellow, but I’m not sure. We came across him as the sun was setting, and light was pretty poor. John spots some giraffes on a hill nearby and we move there in all haste to catch the last rays of light. I must say I’m pretty happy with these silhouettes. As the sun set, we came across a group of giraffes on a hill. 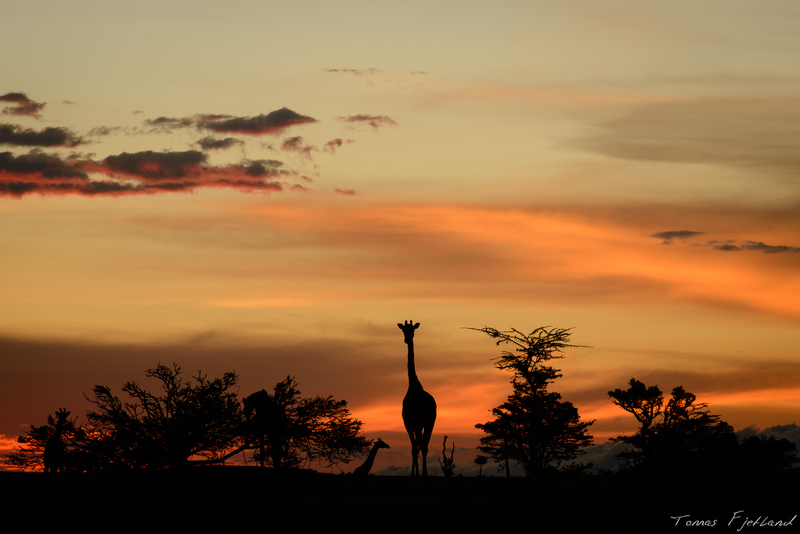 A giraffe in silhouette during sunset over Mara. 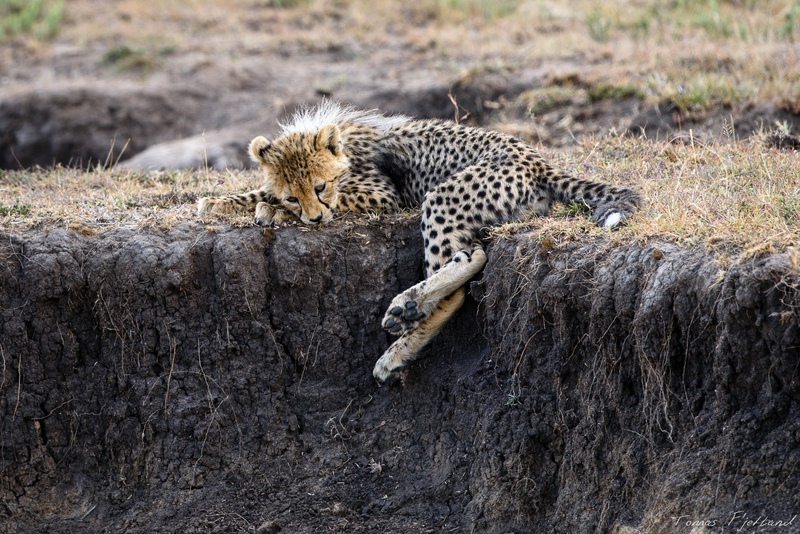 After a 14 hour drive across most of the Maasai Mara system I’ll admit to being pretty worn out when we returned to the camp. I seem to remember I nearly fell asleep during the bucket shower. 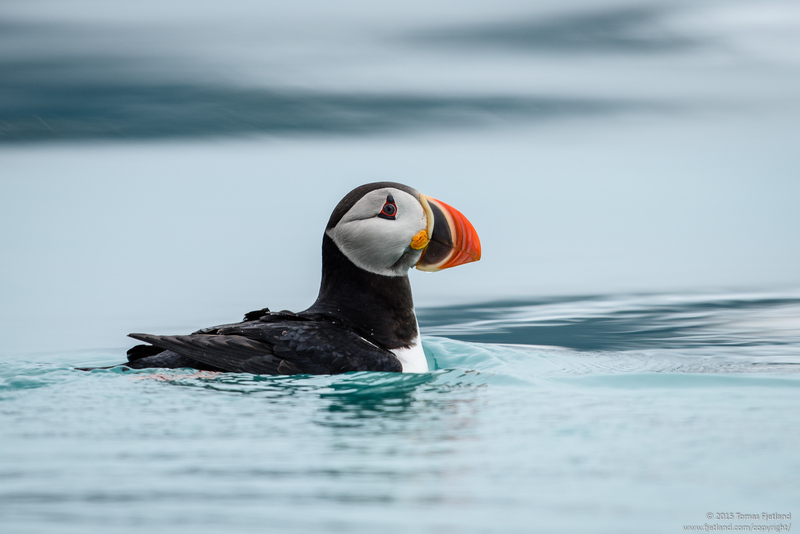 But these excursions into the reserve offer some unique sights and really shouldn’t be missed. Even if it’s outside of migration season. The next day the plan was to stay in the conservancy, so we would have a chance to relax back in the camp in the middle of the day. Thank you so extremely much for sharing these amazing photos allowing everybody to see this and other sides, of the world. Definitely am enjoying your series! If you have time, please do a gear post, would love to know what you are using for shooting in general, but more importantly why you use those things and what the pros/cons are of certain things. Thanks so much for leaving a comment and for the kind words! Going to Kenya really is an amazing experience that I’d recommend to anyone. 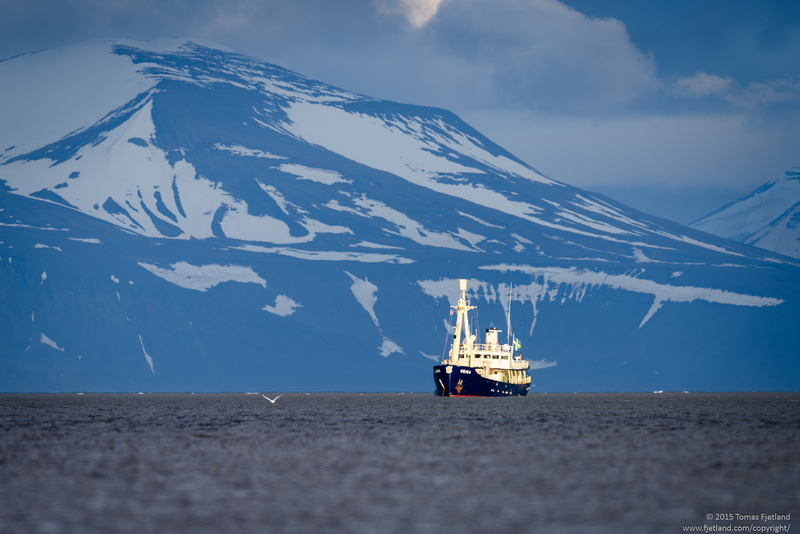 But there are some tricks to get the best possible experience, and especially if photography is a part of it. I’ll try to share some of those in an upcoming post, but generally speaking I’d rather save up for another year than going “too economical”. And boy would I like to visit the Maldives too. Certainly on my bucket list! Thanks again and keep shooting!